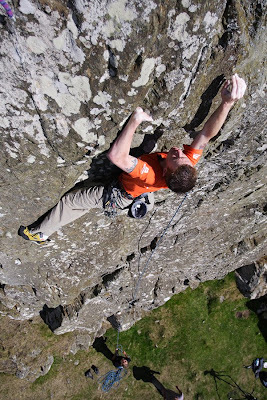 A Hot Aches film about climber, Kev Shields will be broadcast on Current TV this Monday night at 9pm. You may recognise Kev as one of the featured climbers in Committed Vol 1. The film follows Kev climbing in Scotland and Northern Ireland and examines his motivations for hard trad climbing.